One of the most popular players at Northgate, the forward was instrumental in helping his team secure a first win of the season after they inflicted defeat on north-west neighbours Mersey Tigers in the BBL Trophy. In fact, Schneck produced the best performance of the week as he posted a terrific double-double of 22 points and 11 rebounds. Tigers couldnt cope with him in the paint as he went to work with great efficiency, making 9 of 11 inside. Our third BBL Team Of The Week this season is dominated by One Health Sharks Sheffield who not only have two players in the starting five but also another two coming off the bench – perhaps not surprising after their wrecking spree against UCP Marjon Plymouth Raiders. There are also four new faces making the starting line-up for the first time while those of you following the BBL Team Of The Week closely will also notice that it is a case of third time unlucky for Joe Chapman. The Eagles shooter misses out for the first time this season. Our backcourt this week is maybe lacking a little in height but certainly not in stature, offensive firepower or familiarity and with a super-sized and powerful frontcourt, it looks like a fantastic starting five. In the guard spots are One Health Sheffield Sharks team-mates Steve Dagostino and Ryan Patton. The former makes the team for the second time thisseason having lined up during the very first week while the latter underlines his status as one of the most influential players in the league. Dagostino was electric against the Raiders last Friday night during the 116-73 rout and he fired 4 three-pointers in a 31 point haul to go with his 6 assists.Patton meanwhile top scored with 33 points and was everywhere as he pulled down 6 rebounds and just missed out on a double-double by one assist. The first of our towering frontcourt trio is Justin Dobbins who excelled for Worcester Wolves during their hugely impressive 99-96 overtime victory against Newcastle Eagles. There were plenty of bright spots for the Wolves but Dobbins was the pick of the bunch having posted a magnificent double-double of 21 points and 15 rebounds. While losing at Worcester meant it wasn’t exactly the best weekend for Darius Defoe, he can at least find solace from the fact he grabs a spot in the BBL Team Of The Week after also registering a powerful double-double in the game 24 hours earlier against Glasgow Rocks. His battle in the paint with Rocks big man Mike Copeland was terrific and both came up with huge numbers. Copeland is on our bench this week but Defoe gets the nod for the starting five after pouring in 31 points to go with his 12 rebounds. Nothern Iowas standout Ali Farokmanesh guided his team SAM Basket Massagno to their first win in the 2010/2011 seasonopener against BBC Nyon with a 26 point performance. Larry Gordon started his second season in Europe with a win. His new team, the Kapfenberg Bulls won their first game on the road against the team of Wels. The final score was 64 -69 with Larry contributing 9 points and 7 rebounds. 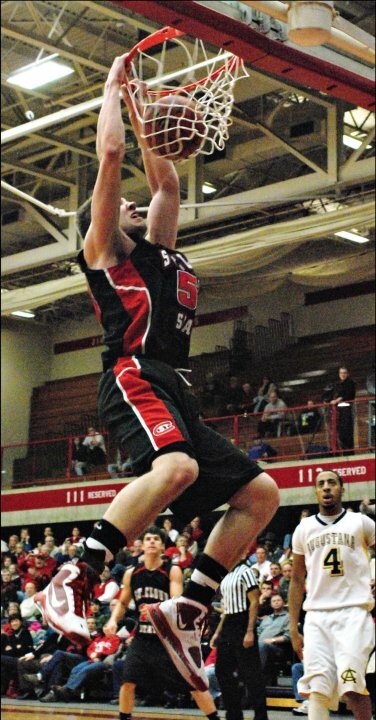 Matt Schneck posted 33 points , 13 rebounds and 5 steals in the 91 -59 win of the Cheshire Jets over the Essex Pirates. David Schneider and his team the Guilford Heat played the Plymouth Raiders.. The Heat and David had a very succesful Saturday winning 76 -56. David posted 10 points, 4 rebounds, 3 steals and 3 assists. He’s a big man with an opportunity. Former St. 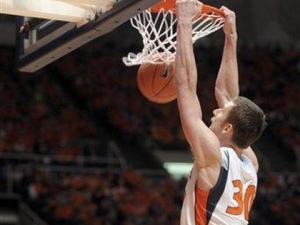 Cloud State All-American center Matt Schneck knew he wanted to continue his basketball career after his college days were over. The 6-foot-9, 250-pound native of Whitefish Bay, Wis., just didn’t know where he was going to continue playing, but figured it would be overseas. Schneck officially signed with the Cheshire Jets of the British Basketball League (BBL) on Wednesday after his agent had previously been negotiating with a team from the Swiss Premier League in Switzerland. Cheshire is located …. 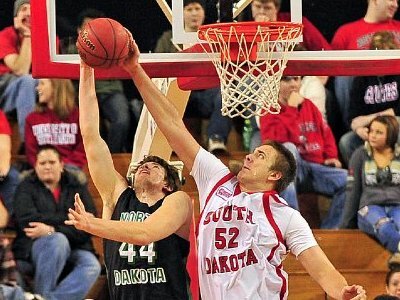 Big man Matt Schneck will suit up for the British BBL team Cheshire Jets for the 2010/11 season. 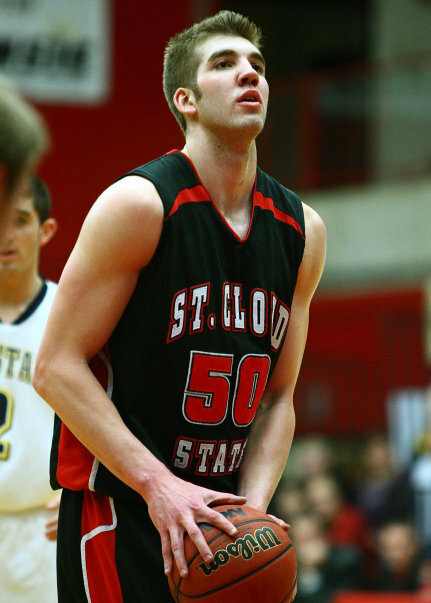 Jets Head Coach Paul Smith is happy about signing his new big man: “We are happy about Matt joining our organisation for next season and he will be perfect for double-double figures in this league.” Matt Schneck spent his collegiate career at Cloud State University who play at NCAA II level. 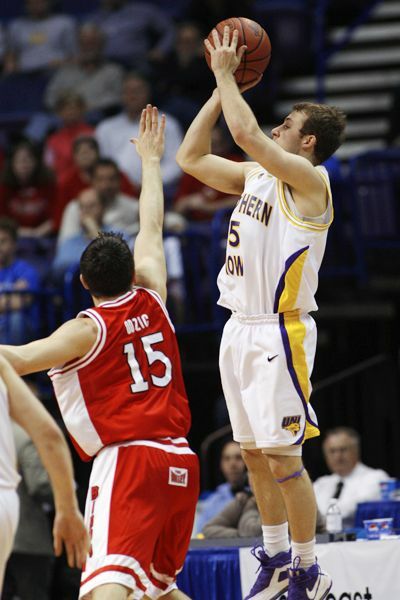 He was named to the NCAA II All American team after a Final Four run during his senior year. The 6’8″ power forward has dominated last year with an average double double, posting 18,5 ppg and 11.4 rpg.